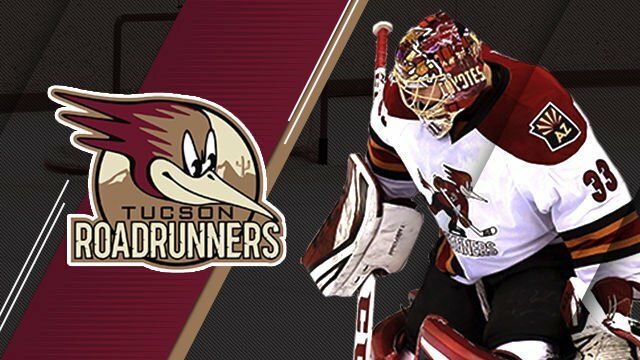 The Roadrunners’ Gem Show road trip got off to a rocky start Friday night when the Rockford IceHogs handed Tucson its fifth straight loss, 3-1. Tucson had a tough time getting started on offense, as Lane Pederson’s 13th goal of the season provided the Roadrunners (23-15-4-1) their only score of the night late in the second period. Anthony Louis had already put the IceHogs (23-19-3-5) on top 1-0 in the late stages of the opening period, followed by a Luke Johnson score six minutes later for a 2-0 advantage. Adin Hill allowed three IceHogs goals on 23 shots, the last score coming by way of Jacob Nilsson on a five-on-three advantage in the third period. The teams play again at 5 p.m. Saturday, the second of a six-game road stretch for the Roadrunners. The Arizona Coyotes announced Friday the completion of a three-player trade with the Nashville Predators — a deal that will impact the remainder of the Tucson Roadrunners’ season. Adam Helewka, Tucson’s leading scorer and leader in points among active players, was dealt alongside fellow forward Laurent Dauphin to the Predators’ organization. In return, Arizona landed 2018 American Hockey League All-Star Emil Pettersson. Pettersson will report to the Roadrunners. He has tallied 33 points (11 goals and 22 assists) for the AHL’s Milwaukee Admirals this season, and has 24 goals and 79 points in 121 games over the past two seasons. With Helewka’s departure, the Roadrunners — losers of four straight games (three in regulation, one in overtime, and kicking off arguably their most grueling road stretch of the season tonight in Rockford, Illinois — entered Friday’s game without three of its four leading point scorers this season. Defenseman Kyle Capobianco led the way with seven goals and 32 points before he was called up to the Coyotes last week. Helewka was second overall in points for Tucson before Friday’s trade, with a team-high 13 goals helping his total of 31 points. And Michael Bunting is tied for third with 26 points in just 29 games, but he was called up this week to the injury-ravaged Coyotes, too. Lane Pederson and his 12 goals and 26 points are now both active team highs for the Roadrunners (23-14-4-1). Friday’s matchup is the first of six consecutive road games for the Roadrunners, who will crisscross the AHL’s Western Conference map over the next two weeks without any kind of return to Tucson — even for practice or a night’s sleep. The Roadrunners vacated the Tucson Arena this past week as the annual Tucson Gem and Mineral Show takes over the downtown convention center facilities. Dauphin, one of the Roadrunners alternate captains this season, spent a couple of weeks with the Glendale-based Coyotes this year, appearing in one game over that stretch. With service over parts of five different seasons with the Coyotes, Dauphin — who tallied six goals and 20 points over 34 games with Tucson this season — was dealt from the Coyotes to the Chicago Blackhawks in 2017, but reacquired last year. Helewka, who has never played in an NHL game, was in his first year with the Roadrunners after spending the last three seasons with the San Jose Sharks organization, primarily suiting up for the AHL’s San Jose Barracuda. Capobianco suffered a season-ending lower-body injury Thursday while the Coyotes hosted Columbus. Capobianco wasn’t able to put much weight on his right leg while being helped off the ice in the 4-2 Arizona loss to the Blue Jackets. The Wildcats have been red hot since splitting a series with the Rebels last mont.